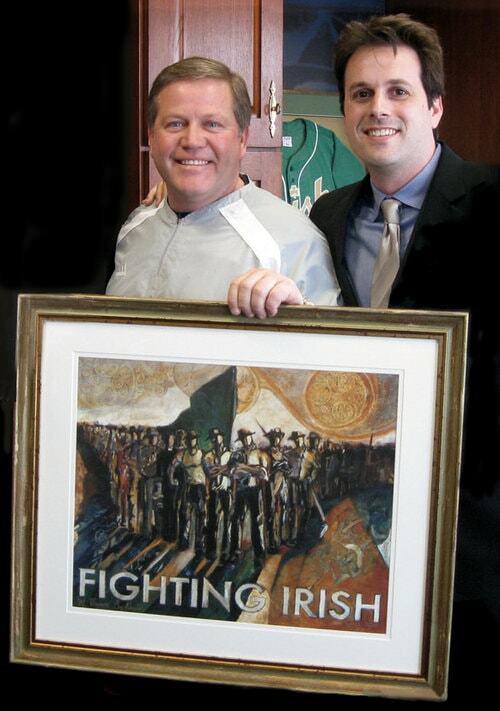 I made this art for people who want a deeper way to connect with the proud history and tradition of the Fighting Irish. More than any other college nickname, FIGHTING IRISH means something. When I played for Notre Dame, I felt something beyond the mascot and logos, something deeper, grittier, tougher. I made these prints to honor the hardworking generations of men and women of all backgrounds that embody the spirit of the Fighting Irish.